The five elements of Well Being are; Engagement, Relationship, Positive Emotion, Accomplishment and Higher Meaning. 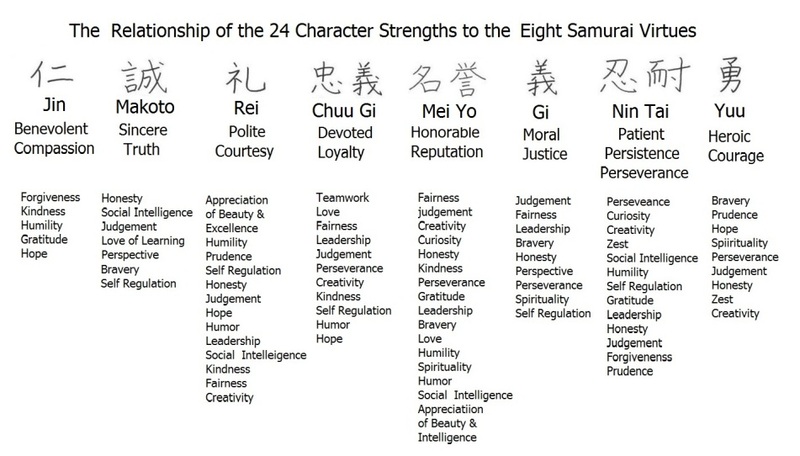 These five elements combined with the 24 Character Strengths promote Well Being. 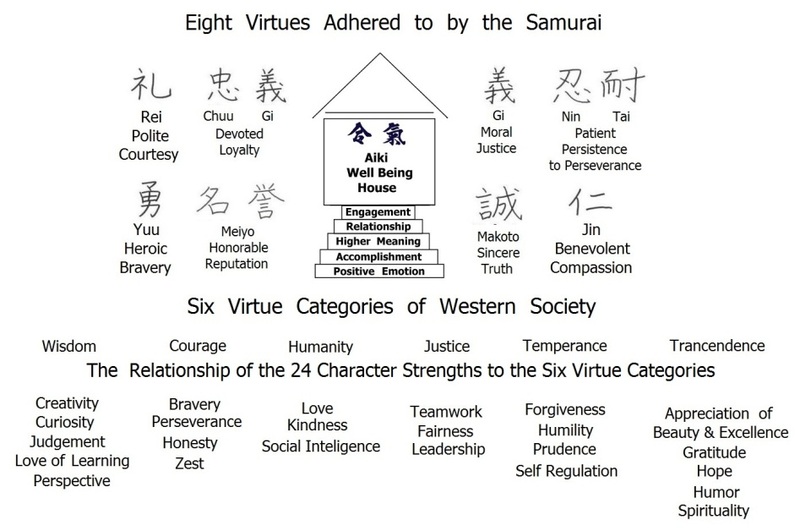 The duty of the Samurai was to serve his senior whether it be his master, his emperor, or his country. So his duty was already to higher meaning, something bigger. This was called Bushido, the way of the warrior. The five elements of well being [Engagement, Relationships, Positive Emotion, Accomplishment and Higher Meaning] can be found in the practice of both Iaido and Aikido.